UB is home to leading teachers and artists, many of whom hold endowed chairs that we help support. Pictured here is David Felder, SUNY Distinguished Professor and the Birge-Cary Chair in Music Composition. 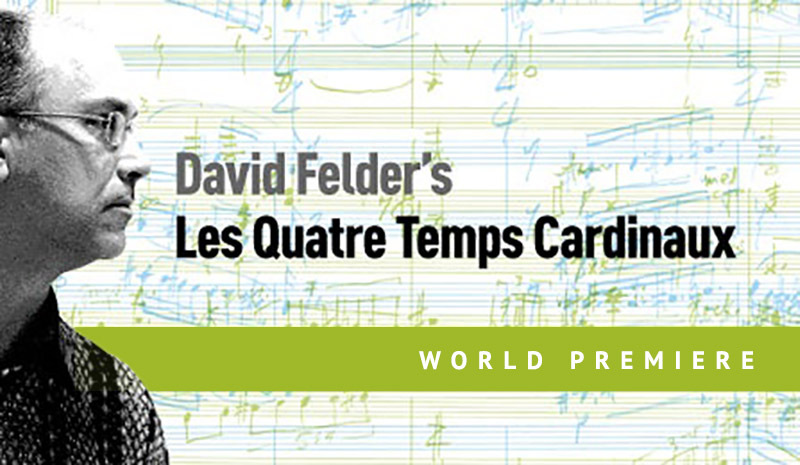 David Felder is a SUNY Distinguished Professor, the Birge-Cary Chair in Music Composition, artistic director of the Slee Sinfonietta, and director for the University at Buffalo’s Center for 21st Century Music as well as the popular June in Buffalo Festival. Felder has long been recognized as a leader in his generation of American composers. His works have been featured at many of the leading international festivals for new music, and earn continuing recognition through performance and commissioning programs. An active teacher and mentor, he has served as PhD dissertation advisor for nearly 70 composers at UB. 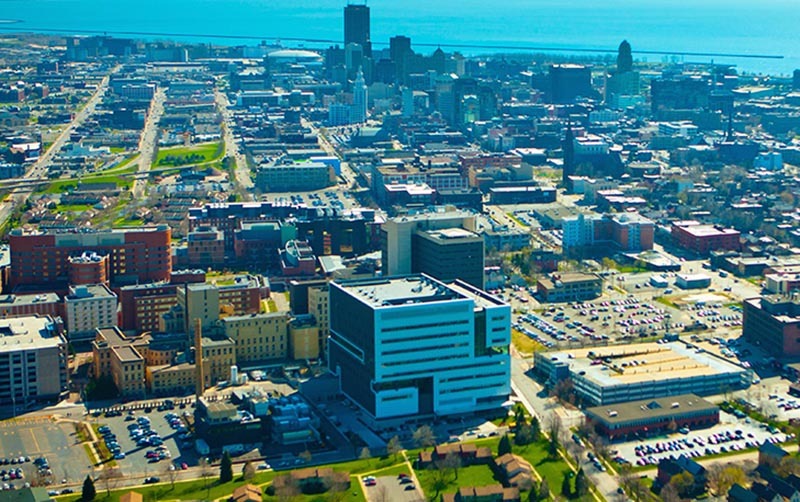 The UB Foundation plays a significant role in bringing renowned faculty to the university, by enabling donors to direct funds to a specific purpose such as an endowed chair. Felder recently answered some questions about his work at UB; here’s what he had to say. What opportunities have kept you here for so many years? Felder: The opportunity to define a program, mold it, build it, and work with PhD level students has been a dream, really. It’s been a great honor to represent this university and its really unique history in my 30 years here. UB is an absolutely fantastic place to practice my work and practice my teaching. Felder: As a creative person, I have the opportunity to be introspective and develop my own compositional language in ways not subject to external pressures. I don’t have the distraction of worrying whether or not the New York Times liked what I did. As the Birge-Cary Chair and director of the Robert and Carol Morris Center for 21st Century Music, what impact has philanthropy had on your career? Felder: It’s a tremendous privilege to be a chair holder. I view the resources of the chair as being critical to the program. Without those resources in the beginning, we wouldn’t have been able to restart the June Festival, a very important festival for composers. The chair resources have also helped with travel and support for performances, our ability to bring performers and other composers here to Buffalo, funding graduate students, and the ability to support things like a recording project. When I work with computers to modify sounds, I often engage some of the leading practitioners from Europe in coming to assist me in designing software that is specific to my hopes as a composer. These are some of the expenses that a composer has in terms of trying to put together projects. Felder: More and more, private support is going to have to carry the mission of the institution. It’s critical for many, many reasons, ranging from student recruitment and retention for advanced graduate students, to support for programs that are outside the domain of what public funds can be used for effectively. The more unique your mission is, the harder it is for governmental entities to understand it. What are the benefits of donors being able to direct their funds for a specific purpose, such as endowing a chair or establishing a center? Felder: They can really see the effects of their donation. Supporting the arts will yield activity. Particularly for new work, it’s very, very difficult to have quantitative evaluative measure. So, for an enlightened donor, the opportunity to see activities that may, in the future, have tremendous impact on the field is very exciting. Marion B. Lockwood established the Birge-Cary Chair in Music Composition in 1932, naming it for George K. Birge, owner of Birge Wallpaper, and his daughter, Allithea Birge Cary, wife of George Cary, a nationally known architect who designed the Administration Building and Delaware Avenue Gate at Forest Lawn Cemetery, the Pavilion for the Pan American Exposition held in Buffalo in 1901 (now the Buffalo History Museum), and the Pierce-Arrow Motor Car Company Administration Building.